Wrinkle Reduction TreatmentsSmooth out expression lines around the eyes and forehead. The injections are a safe and effective method of temporarily reducing moderate to severe facial lines and wrinkles. They are unrivaled for the treatment of frown lines, forehead lines and crow's feet and can also be used to reduce excessive sweating. Eliminate facial lines and wrinklingAnti-wrinkle injections use a purified protein produced by the Clostridium botulinum bacterium which reduces the activity of the muscles that cause facial lines and wrinkles. By blocking muscle action, the highly purified preparation minimizes the wrinkles associated with over-active muscles. They do not produce numbness or disturbance of sensation and will not radically change your facial appearance. You can still frown or look surprised, you'll just do it without the wrinkles and creases between your brows. Treatment is quick and easy, involving a series of tiny injections in the area where lines occur. This usually takes less than 10 minutes and involves only minor discomfort. The full effects of treatment take a few days to reach a maximum and in most cases last from 3-6 months. The treatment is very safe, with no systemic side-effects of note. Temporary side effects may include some tenderness and slight bruising at the site of injection. Recommended treatment scheduleThe initial effects generally last from 3-6 months. Many patients find that after a few treatments the effects last longer, meaning follow-up treatments may be required less frequently. How do fillers different from muscle relaxing injections ? 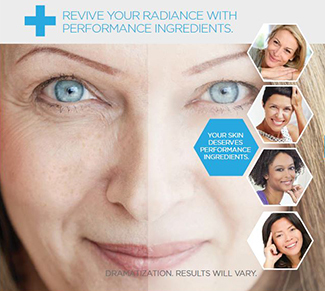 Sculptra Aesthetic and RADIESSE® are a step beyond the well-known hyaluronic acid (HA) products such as JUVÉDERM®. They prompt the body to produce new collagen in addition to plumping the skin. Because aging slows the body’s ability to renew and support the skin, these injectable gels encourage the body to grow healthy new collagen. Overtime they help replace lost volume over time, sometimes providing results for a year or more. Sculptra Aesthetic and RADIESSE® are an exciting option for anyone who wants to reverse the visible signs of facial aging without a surgical approach.The way each one achieves this is bit different, but both work with your body’s natural processes. This product works right away, instantly adding volume to the face. But during the next few months after treatment, RADIESSE® will also stimulate collagen production so your skin continues to look smoother and more youthful. 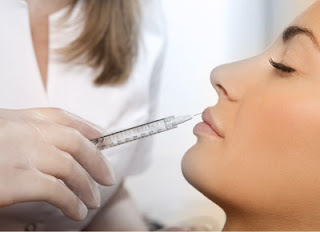 This injectable also uses a micro-particle gel. Instead of a single treatment, it is administered in a series of sessions over a few months, usually consisting of three injections. Its volumizing effects emerge over time, and have been shown in studies to last up to two years. As with RADIESSE®, Sculptra Aesthetic works to encourage collagen production deep in the dermis. RADIESSE® and Sculptra Aesthetic are long-lasting dermal fillers that present exciting options for facial rejuvenation. By stimulating the body’s natural collagen production, they can continue to provide improvement long after the treatment itself. "What more can I do for my wrinkles?" Introducing a powerful age-management compliment to your injections that helps fill, lift and tighten your entire face. Indermica Derma Correct with layering technology, is a comprehensive age-management system with modern performance ingredients that help to reduce the appearance of fine lines and wrinkles.